One day in late November, just as Pyotr the Bear was sitting down for his evening meal of black bread and beans, his front door burst open and a man stepped through. The man stomped his fur boots on the welcome mat to shake off the late-November snow, and he took off his blue woolen cap. Then he spotted Pyotr sitting at the table, a spoonful of beans clutched in his right paw. The hunter put his gun down slowly. The man’s shoulders slumped and he leaned against the doorpost. Pyotr did, in fact, have plenty of bread and beans: it was the first day of the week and he had just made a fresh batch. However, he didn’t know how he felt about sharing his food with a hunter. “Please,” the man begged, and with that he collapsed into Pyotr’s rocking chair. “I’ll leave in the morning,” the hunter promised. But overnight it snowed twelve inches in the wild woods of Siberia, and all the paths were blocked. “I guess you’ll have to stay for breakfast,” Pyotr growled. They had ham and blueberry muffins and leftover beans, plus a pot of tea, because it was cold outside. After breakfast the hunter pulled out his harmonica. “You play too?” Pyotr exclaimed. “‘O Susannah’ is my favorite,” said Pyotr. So they played duets of “O Susannah” until lunch. In the afternoon it was still too snowy to go anywhere, but Pyotr thought it wouldn’t hurt to head out front and make snow angels: so they did, flopping down in the fluffy snow and waving their arms and legs back and forth. The hunter, whose name was Nikolai, laughed and said that Pyotr’s angel looked more like a monster; Pyotr said that Nikolai’s angel looked more like a worm. Then the hunter made a snowman and put his blue woolen cap on it, and wedged his hunting gun into its snowy arms. Pyotr made a life-sized snow bear to stand beside the snowman, growling through its icicle teeth. Snow fell steadily in the wild woods of Siberia for three and a half weeks. Every day Pyotr’s windows were crusted with a thick new layer of frost; every day the snowbanks rose higher against the green door of the snug little cottage. There was no question, now, of Nikolai going anywhere. Pyotr and the hunter learned three new harmonica songs and improvised twenty variations of ‘O Susannah.’ Nikolai learned how to make black bread and beans, and he taught Pyotr how to turn some of his blueberries into a dark, runny jam. Nikolai thought about that, turning his teacup around on its saucer. The hunter and the bear sat in silence for a moment, watching the snow fall down, down, down like feathers from a great pillow-fight. “Not very good, I guess,” Nikolai admitted. Pyotr finished his third cup of tea and sat watching the hunter with his baleful brown eyes. 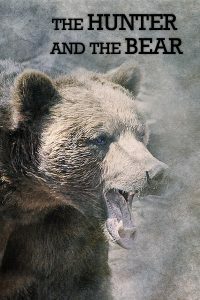 “It’s a deal!” Nikolai exclaimed, and extending his hand, he shook the bear’s enormous paw. When the first crane of spring flapped past Pyotr’s window, its huge white wings as white as the melting snow, Nikolai knew that it was time to leave. Pyotr pondered these words. He wished he had a family, and friends, even though this wasn’t normal for a bear. He wondered if perhaps he wasn’t as much of a bear as he had thought he was. Pyotr smiled as he thought of picking blueberries: it had been a long time since he had sat in the sun, swiping the tiny berries with his huge paw. “I guess I could do that,” he said. So it was that Pyotr the Bear and Nikolai the Hunter became friends, not just for a season, but for the rest of their lives. In the summer Pyotr would visit Nikolai, and together they would pick enough blueberries for an enormous pie, big enough to share with the entire village. When the villagers came together to eat their slice of runny, sticky, sweet pie under the summer stars, they would stare in awe at the huge bear who sat like a statue beside Nikolai, carefully licking his paws. And in the winter, just as the first snow was beginning to fall, Nikolai would put on his blue woolen cap and head out towards the wild woods of Siberia. Somewhere in the midst of the forest, he knew, there was a small, snug cabin where his best friend was playing “O Susannah” while a pot of beans sat boiling on the stove.